Would you like to become a member of SWE-MN? Contact our Membership Co-Chairs at membership@swe-mn.org. Are you passionate about volunteering? Are you interested in sharing your engineering knowledge to students in the community? 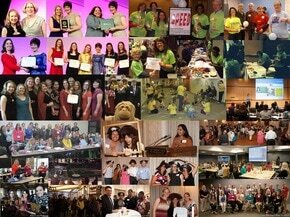 Do you have a volunteer opportunity that you would like SWE-MN volunteers to help with? Please email our Outreach Co-Chairs at outreach@swe-mn.org. Would you like to sponsor SWE-MN to achieve its outreach mission for the year? We're always looking for financial help to put on events, such as Wow! That's Engineering, a program designed to introduce young, underprivileged girls to science and engineering related fields. Please contact our President at president@swe-mn.org for information about how you can donate. For general questions regarding SWE-MN, please contact our president at president@swe-mn.org. For web related issues, please contact our webmaster at webmaster@swe-mn.org. Alternatively, you may contact us using the contact form below.